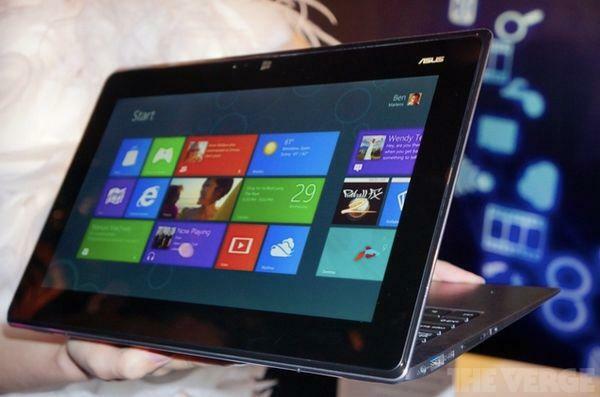 Asus has announced its Taichi series laptops at Computex 2012. The device features two displays with pixel dimensions of 1900x1280. Out of them, the external screen is touch-friendly. The gadget is powered by an Ivy Bridge Core i7 CPU and has 4 GB of RAM. Other specs include a 5 MP camera, SSD storage, and two USB 3.0 ports. There will also be a front facing camera for video chat. The laptop will come in two screen sizes, 13.3" and 11.6". With Windows 8 onboard, the gadget works as a regular tablet. However, if you want to get some serious work done, you can switch to desktop mode and start working with the backlit keyboard and trackpad. Currently, there's no information regarding its prices and availability.